Stocks have definitely been quiet of late although that’s from a bull’s perspective from the inside looking out. There has been a very slight drift higher. From a bear’s perspective from the outside looking in, it must be painful first watching stocks relentlessly melt up and then continue to grind higher day after day after day. These types of markets wear on anyone holding cash waiting to invest. From my perspective, I have tried to do my best not to screw up my bullish outlook. Looking at the major indices, it’s hard to make a seriously negative argument. Sure, I can poke some holes, but nothing significant. Of the four key sectors, the semis and discretionary continue to rock. 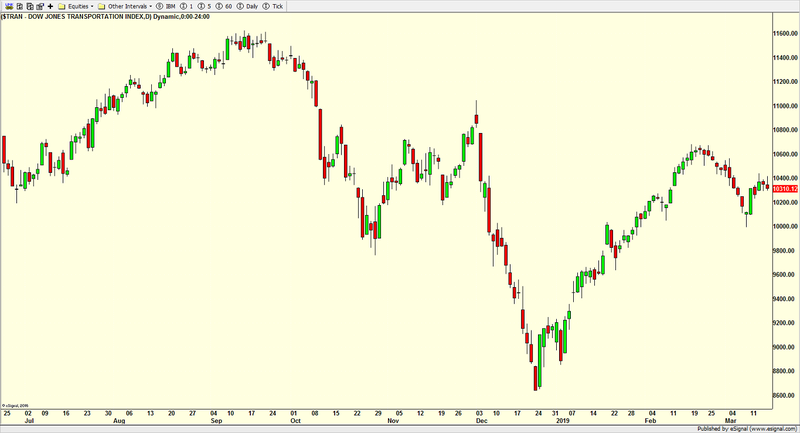 Transports look like they want to pullback and then explode higher while the banks just frustrate investors. I think if the financials are going to shine, their time is coming this quarter. While I have written about some recession concerns, the credit markets are not showing any worries. High yield bonds just keep making new highs day after day and week after week. 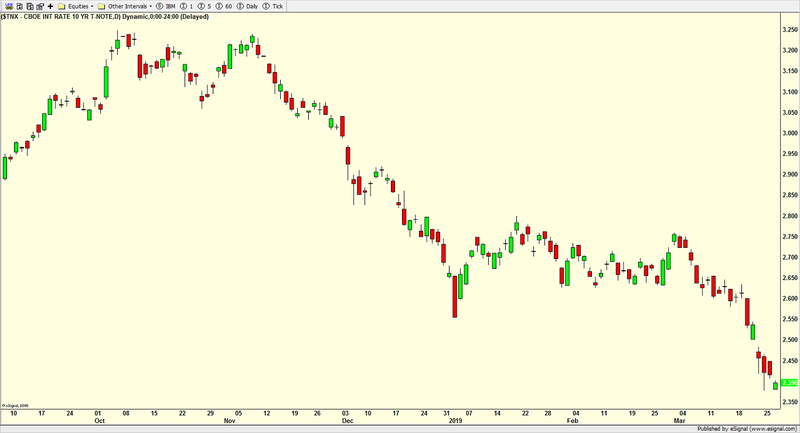 Long before stocks peak and well before the economy peaks, I fully expect the junk bond market to put in a major high. We’re not even seeing junk bonds peak yet, so I have to laugh at all those Chicken Littles out there who yell that the U.S. economy has been in recession for months. That’s just not the case. If I had to point to one somewhat dumb little supporting fact at just how strong stocks are, look no further than the strength leading up to tax day. While roughly 80-85% of the country saw their taxes fall in 2018, we know that those of us living in high SALT states like CT, NY, NJ, CA, IL & MA may see higher tax bills due today. I would have thought that would have caused a mild pullback to meet those liabilities, but maybe I am either overthinking it too simplistic in my analysis. Anyway, today is tax day and it’s typically one of the strongest days of the year. I think the logic goes that investors make their IRA contributions at the very last minute and portfolio managers tend to invest that all at once. I actually reasoned that people sold some holdings to cover tax bill and sellers got exhausted before today. Who knows. I’m glad tax day is behind us. I do like seeing all that money in my checking account. That is, until the IRS pulls it and then cashes my April estimated tax check. It’s been a fairly quiet few days for stocks after the better than expected employment numbers were released on Friday. The economy created 196,000 new jobs versus the 175,000 expected. As I wrote about then, I was expecting a strong number with a sharply higher revised number for February. While the former happened, the latter certainly didn’t as February was only revised higher from 20,000 to 33,000. There’s nothing wrong the major indices. All looks fine. The four key sectors are split with semis and discretionary rocking and rolling, but banks struggling and transports looking like they want to burst higher. High yield bonds continue to quietly shock and surprise at all-time highs. I’ve been saying this for years, but certainly of late, bull markets do NOT end with behavior like this. 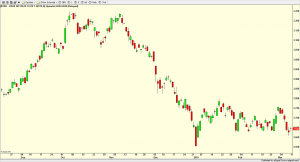 Junk bonds usually top out long before the stock market. Risk on remains in place. The bears are and have been wrong. Today, we have what is always labeled as the “all important” monthly jobs report. Frankly, given the Fed’s recent 170 degree turn, I don’t think it’s that vital unless the data either completely fall off a cliff or completely spike. Both are unlikely. After February’s unexpectedly weak report, I said that I fully expect a sharp revision higher when March’s report is released in early April as well as a decent report for March. I still feel that is the case. If it turns out that I am wrong and we see more economic weakness than recession may be closer at hand than I thought. That would cause me to rethink a lot of things. Let’s wait and see what happens. I’m sticking with the weight of evidence that points to strength in the jobs market. Not much has changed on the stocks front. A good employment report should send them higher, but they still look a little tired in the short-term. Bonds should weaken on a good report but they look like they could bounce after that. Gold probably looks the most interesting here as it is set up for an upside move. That’s it for today. 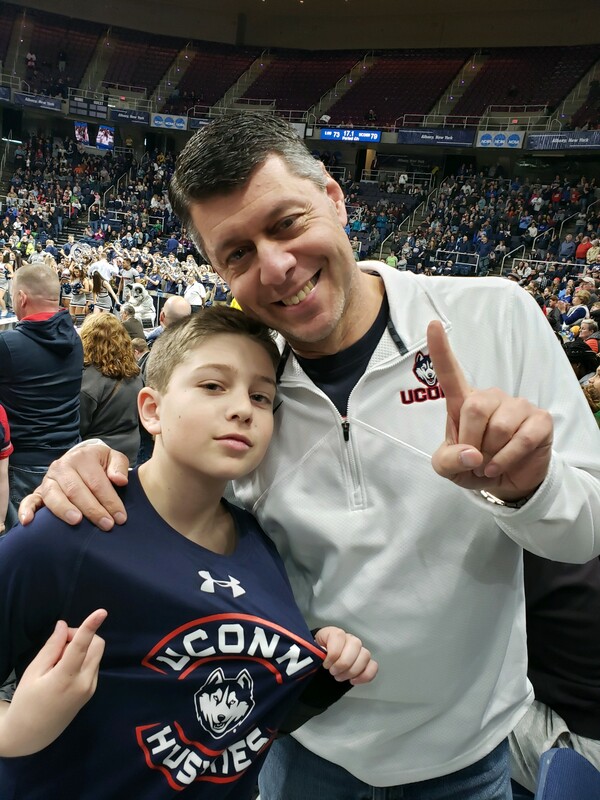 I’m in Tampa with my little guy to watch UCONN take on mighty Notre Dame tonight in the Final Four. It’s going to be a tough one for sure. We don’t seem to fair well against the Fighting Irish on Fridays during Lent. Last week, we ended with the hottest and most anticipated IPO in a very long time. It was one that caused me to dust off my HOT IPO Roadmap and tell you to run for the hills. Lyft came public to all the glory and hoopla of a Ringling Brother circus. And certainly not to my surprise, it fell flat on its face after running above $88. Last I checked, it was sub $70. The pundits were chastising Uber for waiting to be number two. Who’s laughing now? I am sure Uber is learning a valuable lesson! Regarding the stock market, the bull remain long and strong. However, it seems like a whole new group of bears have just started to notice that an epic rally has been taking place since Christmas. I saw some of the loud and proud bearish pundits who have been pounding the table all year that stocks absolutely had to revisit the Christmas lows and probably break them. These guys were singing the market’s praises as if they had been positive all year. One clown says he used to be a broker before he started blogging and became a pundit. Last time I heard him comment, he was invoking the Logan Act regarding Trump. I don’t know how pundits stay so wrong for so long and then flip a switch, revise history and claim victory. I actually do know. It’s because there’s no accountability. Anyway, I can spend all day laughing at pundits who refuse to ever admit defeat and just revise history. It’s like those “floor traders” we see on TV who don’t really do anything but walk around the floor socializing and waiting for someone to ask their opinion. Most trading is done electronically. They don’t manage money. They aren’t fiduciaries and frankly, they’re just around for show and entertainment. Geez, I sound salty and ornery today like my buddy Sam Jones. I’m really not. And I had a great weekend in Albany and Vermont watching basketball, skiing and catching the Mount Snow Spring Brewer’s Festival. As most of you know, I have no problem admitting I am wrong because it happens pretty much every day as I am reminded at home. “Dad, you’re so wrong”. “Babe, you don’t know what you’re talking about.” While I absolutely can’t stand Duke, I thought there was no way they could lose before the Final Four. Wrong. 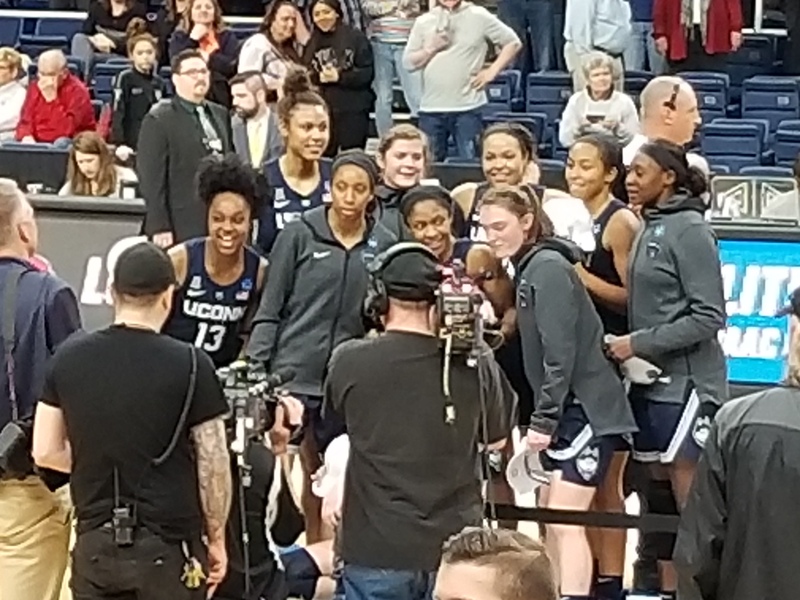 I thought my UCONN women would have a very tough time on Sunday against Louisville. Wrong. For a few weeks in early January I thought stocks would see a secondary decline into March. Wrong. 30 years in business, I am still learning each and every day. Make a trading error? Fix it ASAP. Don’t wait and hope it goes my way. Cut your losses and take my lumps early and move on. Markets are usually right. Markets also don’t care what price I bought or sold anything at. Stocks roared out of the gate to begin Q2 as Chinese economic data was unexpectedly robust. 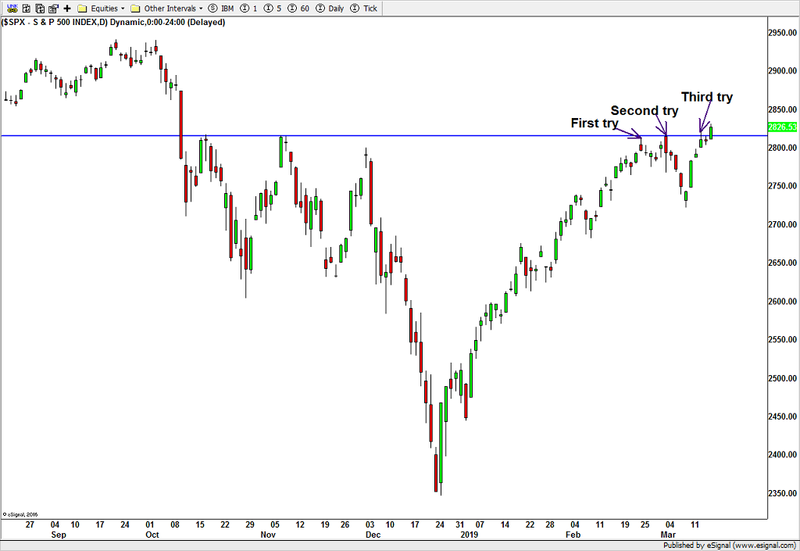 The S&P 500 broke out to new highs for 2019 and the highest level since October 10 as you can see below. 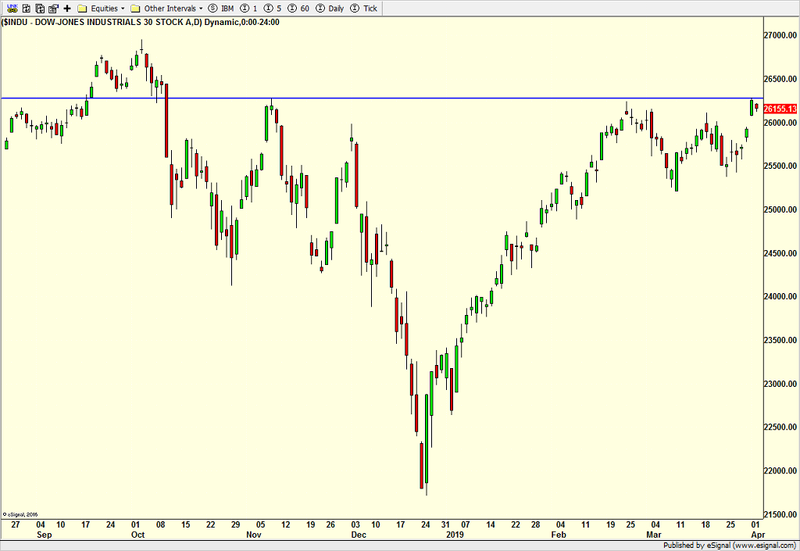 The NASDAQ 100 looks very similar and equally as strong. Before I continue beating my chest about all-time highs, I want to add that Monday was somewhat emotional for the bulls. As such, I would not be surprised to see some pause to refresh or even a little pullback over the coming week or two. It wouldn’t be one that I would take much action on, but I would be aware. Ultimately, as I have said every week all year, stocks will resolve higher and buying any and all weakness remains the strategy until proven otherwise. The Dow Industrials are lagging as you can see below, but no longer by a huge margin. The Boeing news has settled down and I expect the Dow to kick it up a notch as Emeril would say. The S&P 400 and Russell 2000 are the two lagging indices that need to step it up sooner than later. If the bears want to point to something concerning, there it is. All in all, stocks continue to soar ahead as I spelled out in my 2019 Fearless Forecast. All-time highs are coming. Have patience. There will some trading ranges and pullbacks and frustrations along the way. The economy is decelerating but I don’t think recession is here just yet. Strong Sector Leadership. Seasonal Headwind This Week. As I wrote about last week, stocks ended their deepest and longest pullback since the Christmas bottom. And that was all of 3% and 5 days. Not much for the bears to hang their hopes on. I also commented that I wanted to see which sectors led out of that pullback since it was unlikely that the rising tide would continue to lift all ships. Since the March 8th low, the bulls should be proud that it’s been a “risk on” rally with biotech, energy, healthcare and technology leading the way. That is fairly strong leadership. Lagging are the defensive groups plus materials and transports. That’s not bad either although the masses are all up in arms about the transports. While they do matter, I am not going put too much weight on them as they are still rallying fairly well as you can see below. Finally, with last week’s quadruple expiration of options and futures and stocks rallying, there is a strong trend for some weakness this week. While I don’t have a strong opinion of the magnitude, I don’t think it should be a significant decline if it comes. On Wednesday, the bulls tried to break stocks above what pundits are calling the “key” line in the sand. This was the fourth such attempt in the past three weeks. As I mentioned before the first try almost always fails and the second is usually a little more emotional. After that, one of the attempts usually sticks. You can see this on the chart below. 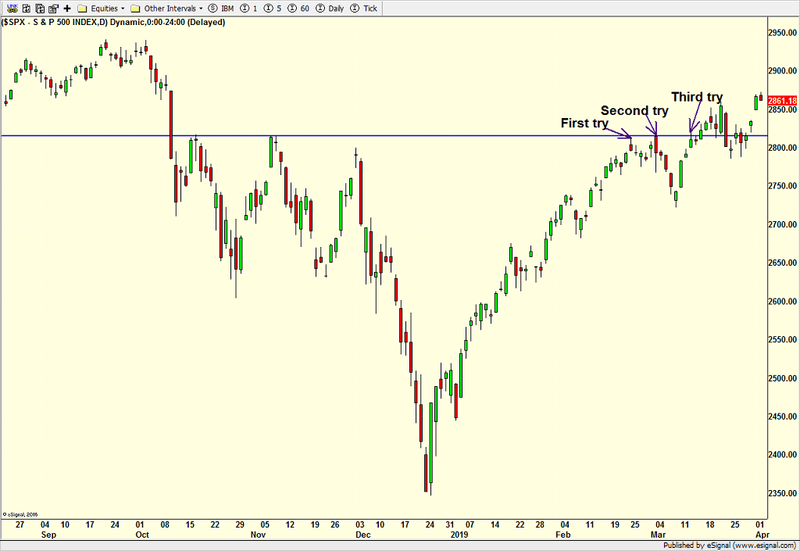 Today, is that fourth attempt and we will see where the bulls end up. 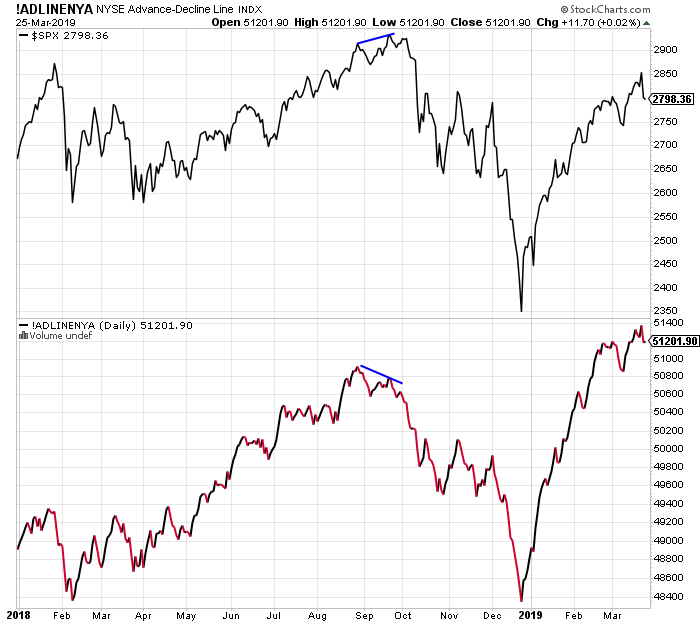 Given the run we have had this week, coupled with negative seasonality next week, my initial take is that stocks are not going to run away from here. My sense is that the fourth try will be followed by a fifth one sooner than later but not immediately. 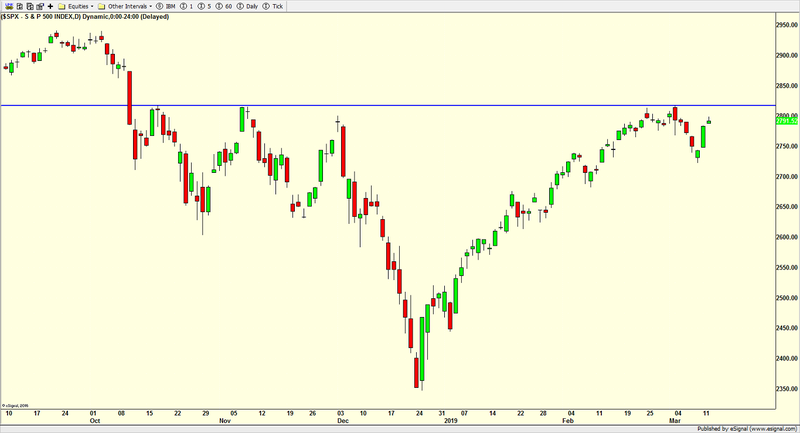 However, even if stocks pause here or mildly pullback, I don’t think it will be enough to warrant much action. There is too much strength beneath the surface. Just look at junk bonds below. When almost everyone left them for dead (including me) last year, this group has exploded higher, ripping the faces off of the bears. I will end with an oldie but a goodie that many of you have become use to hearing. Bull markets do not end with behavior like this. Greetings from LA! Hopefully, this is the final day of a long, three city trip. I always debate compressing my trips into fewer ones so I can get a lot accomplished with less flying. 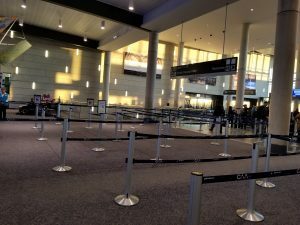 In today’s case, this massive winter storm will likely result in my flight being canceled to Denver. So, my fingers and toes are crossed that I can get back to CT tonight and not have to deal with the masses tomorrow. Last Friday, I wrote about what looked to be some early morning weakness with the key being how stocks closed that day as I was looking for a low sooner than later. Well folks, we didn’t have to wait long for the bulls to step up. After watching the pause to refresh morph into the mild pullback all of 3.37% from high to low and -2.14% on a closing basis, the bulls decided it was time to commit some cash. All year long, my theme has been the same and unwavering. The Q4 decline saw the masses raise hundreds of billions of dollars in cash. When stocks bottomed at Christmas, they literally took off like a rocket and have not looked back. All those naysayers have been sitting and waiting for the other shoe to drop to reinvest their cash. They have disavowed and hated this epic rally right from the get go and every day ever since. They’re almost angry at this point for being so catastrophically wrong. I spoke with a few of those managers this week and instead of doing the mea culpa, they explained that everyone should look at 6 month and 14 month returns instead of focusing on their anemic 2019 performance. Interesting indeed. For 11 weeks, the bears’ opportunity just hasn’t come. And stocks have pressed higher and higher. As I continue to write, when so many people are looking for a pullback, it rarely comes. In this case, the pauses were one to three day affairs. The recent pullback was five days but didn’t amount to much. You can see how all this has played out below. The big test for the stock market will come when price tries to exceed that blue, horizontal line in the coming days or weeks. Right now, I am purely guessing that stocks will have a tough time breaking through and then running higher. I can certainly see a poke above and then pause or pullback and I can see a full break through and sharper reversal lower. Ultimately, as you know, I see all-time highs across all of the five major stock market indices with 30,000 as a possibility later this year. And while I am on it, Dow 50,000 in the 2020s. As I said to CNBC reporter Fred Imbert yesterday, I think now that stocks have seen their first pullback since the bottom, the key is to watch which sectors lead from Friday’s low. That speak volumes about the health of the rally and I will comment on leadership in the next update on Friday. Greetings from 36,000 feet as I am heading from Florida to LA. There were two major non-financial market news items from last week which I think warrant serious attention. The first was the European Central Bank (ECB) which downgraded their view of the European economy from 1.7% growth to 1.1% growth. That may not seem like “stop the presses” news, but with growth teetering around 1%, the ECB has to be very concerned about recession across Europe and not just in Germany. With that, a more restrictive monetary policy is dead on arrival. The other piece of news was the February jobs report which came in at an anemic 20,000 new jobs, much, much less than expected. While this number is very volatile month to month and can be revised by 50,000 or even 100,000, the February report coupled with the ECB tells us that Jay Powell and the Fed is now definitively on hold for at least the next four to six months, if not the entire year. By the way, I absolutely believe that the Feb jobs report will be revised higher by at least 50,000, but that won’t change anything in my mind. With Europe in trouble and China fading, there is no way our Fed is going buck the trend and push the envelope to normalize rates anymore. Just look below at the yield on the 10 year Treasury Note. In good economic times that are getting stronger, long-term interest rates would be rising, like we saw into October. Since then, 10 year yields have dropped from 3.25% to 2.65%, a clear sign that the bond market is worried about economic growth. Conventional wisdom says that stocks like lower rates as competition for money decreases. So if the Fed is done hiking rates, stocks should like that and go up. While that premise doesn’t exactly stand up to scrutiny, it’s worth noting.